On this page you can find primary source material - both websites and books in the WSA Library - on World History. Look for primary sources on WSA databases or in Access World News. Analyzing Documents - Eight multimedia case studies model strategies for interpreting particular types of primary sources (music, images, objects, maps, newspapers, travel narratives, official documents, personal accounts) and placing them in historical context; learn how historians use sources, what questions they pose, and where else they go for information. A website design to help world history teachers and students locate, analyze, and learn from online primary sources and to further their understanding of the complex nature of world history, especially the issues of cultural contact and globalization. 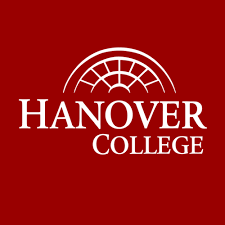 A project of the Center for History and New Media at George Mason University. These websites have primary sources documents from a range of time periods and regions of the world. Take care when using Internet sites for primary sources, since most sources contain both primary and secondary texts. Be sure you have properly identified your document. Documents relevant to the fields of Law, History, Economics, Politics, Diplomacy and Government. Search by time period - ancient times (4000BCE - 399) to the 21st century - or by document collection, covering a variety of topic in world and American history. Cambridge University Library has built a vast collection over the past six centuries, with an extraordinary accumulation of books, maps, manuscripts and journals. The Foundations of Faith strand of content includes important works from many religious traditions, particularly Judaism, Islam, Christianity and Buddhism. The Foundations of Science content begins with the papers of Isaac Newton, includes the papers and drafts that led to Charles Darwin's The Origin of Species, and also the Papers of the Board of Longitude. The digital collections of the Bodleian Libraries of Oxford University; visitors can either search all collections at once, or use filters to limit searches to specific groups of materials - early printed books, ephemera, history and politics, maps, oriental (Asian), prints and portraits, science and natural history, or western manuscripts. Eyewitness accounts, arranged by date - from ancient times through the twentieth century. Presented by Ibis Communications, Inc. a digital publisher of educational programming. Digital versions of historical texts; browse by keyword or subject heading: Ancient Greece and Rome (the Presocratics); Medieval Europe (Letters of Crusaders, Britain); Early Modern Europe (The Italian Renaissance, The Reformation in Germany and Switzerland, The Catholic Reformation, The Religious Wars, The Witch Hunts, The Scientific Revolution, The Enlightenment, France, Britain); Modern Europe (The French Revolution, 19th Century Conservatism, Nationalism, The Revolutions of 1848, National Unification, Labor and Socialist Movements, The Russian Revolution); Africa; Asia; United States (17th Century Colonial History, 18th Century Colonial and US History, 19th Century U.S. History, 20th Century US History). A subset of texts from Fordham University's three major online Sourcebooks (Ancient History, Medieval, and Modern History), covering the history of science in: the Ancient Near East, Egypt, Greco-Roman culture, Byzantium, Islam, Latin Christendom, China, India, the Scientific Revolution, the Enlightenment, Classical Science, the Industrial Revolution, New Science (Darwin, Freud, Einstein), Science, Technology and the Transformation in the Means of Production, Moral Issues and Modern Science. Texts from Fordham University's History Sourcebook project covering Western history, from the Reformation through the 21st century. Includes English translations for many texts. Gateway for historical maps in libraries around the world, currently indexes more than half a million of ancient, antique, vintage and old historic maps from prominent archives and libraries, including the British Library, the National Library of Scotland, and the David Rumsey Historical Map Collection. A collection of full-text books and essays related to individual liberty and free markets, with contents organized by titles, people, and ideas. Historical periods include: ancient Asia, Greece, and Rome; the Medieval Period; the Renaissance; the Reformation; and the Early Modern Period through the 21st century. Authors represent 42 nationalities, American and from countries in Europe, Asia, Africa, and Central and South America. World newspaper directory, with links to thousands of online newspapers, listed by country and region. A collection of books, journals, manuscripts, maps, motion pictures, newspapers, prints, photographs, and sound recordings from countries all over the world, covering from prehistoric times to the present. Select a time period of interest, then use limiters to focus your search, or browse by place, topic, type of item, or language. A project of the Library of Congress and UNESCO (United Nations Educational, Scientific and Cultural Organization). Nearly 300 speeches provide public speakers with a wealth of quotes and inspiration, from Pericles' funeral oration and William Jennings Bryan's "Cross of Gold" speech to Malcolm X's powerful words on the Black Revolution. Presents a collection of over 300 accounts of some of the most momentous moments in history as told by the people who witnessed them. Text, maps, and illustrations present the history of the world from ancient times to the present day. Includes a chronology of important dates, a glossary, and reference tables. Ancient history resources in the Sourcebook cover: Human origins, Mesopotamia, Egypt, Persia, Israel, Greece, Hellenistic world, Rome, late antiquity, Christian origins. Contains,translations of many texts. Sources for European history in prehistoric and ancient times, with selected transcriptions, facsimiles and translations. 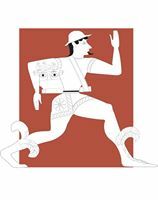 Includes English translations for many of the documents; from the Perseus Digital Library at Tufts University. A digital model of Rome’s development from its earliest settlement until its decline (c. 552 C.E.). Rome Reborn has gathered myriad archaeological data from excavations, inscriptions, and literary sources, as well as quantitative data about building types throughout the fourteen regions of the city. All of this data has been collected in order to reconstruct the city as accurately as possible through 3D images and modeling. Use the guide below to find content related to Classical studies on Artstor. Their collections comprise contributions from outstanding international museums, photographers, libraries, scholars, photo archives, and artists and artists’ estates.When using Artstor on the WSA campus, register for a free user account. Your account allows you to access the Digital Library while off-campus. You can download images, create and share image groups, and more. When using Artstor on the WSA campus, register for a free user account. Your account allows you to access the Digital Library while off-campus. You can download images, create and share image groups, and more. This page highlights Artstor content related to the ancient Mediterranean world as illustrated by images of architecture, architectural decoration, sculpture, vases, mosaics, jewelry, metalwork, and an array of subjects and themes depicted within the classical tradition. 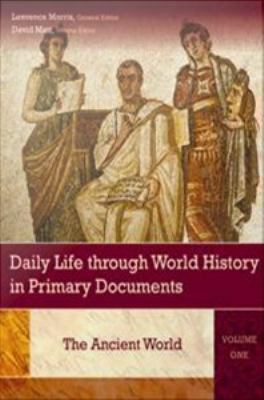 Primary source material on ancient Rome from Daily Life Through World History in Primary Documents, in Gale Virtual Reference Library. A chronological series of maps and text which trace the evolution of ancient cultures, following the movements of races in Europe, the Mediterranean area, and the Near East from 50,000 B.C. to the fourth century A.D.
Gathers accounts of archaeological discoveries, from the tomb of Tutankhamun and the Aegean Marbles to Otzi the Iceman and Macchu Picchu. Introduces the history, culture, and people of ancient Greece and examines its many contributions to the development of Western society. The authors use an array of primary sources to give a history of the politicians, generals, soldiers, slaves, farmers, merchants, craftsmen, philosophers, poets, scientists, and playwrights, who shaped the ancient Greek world. 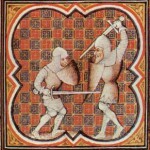 Primary (and secondary) sources on medieval and renaissance military history. Includes the Crusades, Hundred Years' War, Anglo-Norman Warfare, and the Vikings and Norse. A collection of letters to and from women dating from the 4th to the 13th century AD. These letters from the Middle Ages, written in Latin, are presented with English translations and are organized by the women participating. Sources for European history primary documents, with selected transcriptions, facsimiles and translations. Presents a selection of primary source texts illustrative of various aspects of medieval urban life. Texts are grouped under four headings: community (various aspects of social life), economy (the conduct of commercial and industrial activities, locally, regionally, and internationally, and the regulation of commerce and labour), government (constitutional development and political activities in towns, and the key functions of government) and lifecycle ( the individual and aspects of personal life, and women's rights and roles in society). Online web portal for the Global Middle Ages Project (GMAP) based out of the University of Texas (UT) at Austin. It links to a series of Digital Humanities projects by scholars from around the world about people, places, and objects from the period of roughly 500–1500 CE. Texts from Fordham University's History Sourcebook project, covering the period from late antiquity to the Age of Exploration. Includes the end of the classical world, Byzantium, Renaissance, and the Reformation, and has translations of many texts. Kariye Camii, a Late Byzantine church, underwent a massive restoration in the first half of the thirteenth century. It was a mosque in the nineteenth century, resulting in a rich and beautiful combination of interior and exterior architecture. This site offers many resources including photographs of artwork, before-and-after images, and extensive bibliographies. Use the guides below to find content related to medieval and Renaissance studies on Artstor. Their collections comprise contributions from outstanding international museums, photographers, libraries, scholars, photo archives, and artists and artists’ estates. When using Artstor on the WSA campus, register for a free user account. Your account allows you to access the Digital Library while off-campus. You can download images, create and share image groups, and more. Primary source material on the Middle Ages, from Daily Life through World History in Primary Documents in Gale Virtual Reference Library. Provides outline maps focusing on Europe, western Asia and North Africa, showing borders shifting back and forth across the face of Europe over time as countries and Empires rise and fall. Presents Martin Luther's "Ninety-Five Theses," the 1517 religious protest that led to the Protestant Reformation, and includes background on Luther's life and the document's significance. Presents an historical atlas of the cultural and political development of the Renaissance, and contains detailed maps, photographs, and illustrations that describe the major periods of Renaissance art and architecture, the Habsburg Wars, explorations, Tudor England, and the beginning of the Reformation. Forty-two images of crowds and crowd violence in the French Revolution, with analyses by scholars of these depictions of the Revolutionary crowd; a project of the Center for History & New Media at George Mason University and the Department of History, University of California, Los Angeles. An archive of some of the most important documentary evidence from the Revolution, including 338 texts, 245 images,13 maps, 13 songs, a timeline, and a glossary. Also includes ten essays that cover all the major topics in the history of the revolution: the social causes of the revolution, the fall of the monarchy, women and the revolution, the story of Napoleon, and the legacies of the Revolution; a project of the Center for History and New Media at George Mason University and the American Social History Project at City University of New York. The Newberry Library's French Revolution Collection consists of more than 30,000 pamphlets and more than 23,000 issues of 180 periodicals published between 1780 and 1810. There are complete runs of well-known journals, as well as many rare and unknown publications. The collection represents the opinions of all the factions that opposed and defended the monarchy during the turbulent period between 1789-1799 and also contains innumerable ephemeral publications of the early Republic. While the majority of the pamphlets were printed in Paris by the Imprimerie nationale, there are also significant numbers of provincial publishers and fictitious imprints. Presented by The Newberry, an independent research library in Chicago. Provides background information on regicide and the trial of King Louis XVI, and includes eleven speeches given during the trial, with selections by Maximilien Robespierre, Thomas Paine, Jean-Paul Marat, and others. An in-depth look at life in the Gulag through exhibits featuring original documentaries and prisoner voices; an archive filled with documents and images; and teaching and bibliographic resources that encourage further study; a project of the Center for History and New Media at George Mason University. Primary sources drawn from the emergence of resistance movements in the 1980s, the events of 1989, and the immediate aftermath in Eastern Europe, with sources organized by country of origin. The site also features an introductory essay, suggestions for further reading; a project of the Center for History and New Media at George Mason University. The Words of Peace: The Nobel Peace Prize Laureates of the Twentieth Century--Selections from their Acceptance Speeches by selected and edited by Irwin Abrams ; foreword by Jimmy Carter. This collection contains excerpts from the Nobel Peace Prize acceptance speeches and lectures given by laureates since the award's inception in 1901. An English-language virtual reference work on the First World War - a multi-perspective, open-access knowledge base that is the result of an international collaborative project involving more than 1,000 authors, editors, and partners from over fifty countries. A collection of 52 maps from World War I, provided by the Department of History, US Military Academy, West Point. The page has a link to a table of symbols used on the maps. Explore stories, films and historical material about the First World War. The site mixes resources from libraries and archives across the globe with memories and memorabilia from families throughout Europe. The site gives a summary overview of World War I with maps, propaganda posters, vintage audio and video, vintage photographs, and memoirs and diaries. Offers primary and relevant secondary documents, from between 1890-1930, relating to almost all aspects of the Great War. The site has documents organized by year, primary sources listed alphabetically by author, an image archive, and sections related to memoirs and personal reminiscences, the maritime war, and the medical front. Images and descriptions of the orders and medals given by the countries involved in World War I. Medals are divided into different types: bravery/merit awards, campaign medals, service medals, and faithful service awards. A compilation of resources on World War I from the National Archives and Records Administration, along with links to external sites, may of which have primary source material. 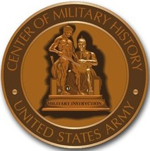 The U.S. Army Center of Military History provides the full-text of online books related to American involvement in World War I, covering military history, published statistics on awards and medals, and World I-era posters. 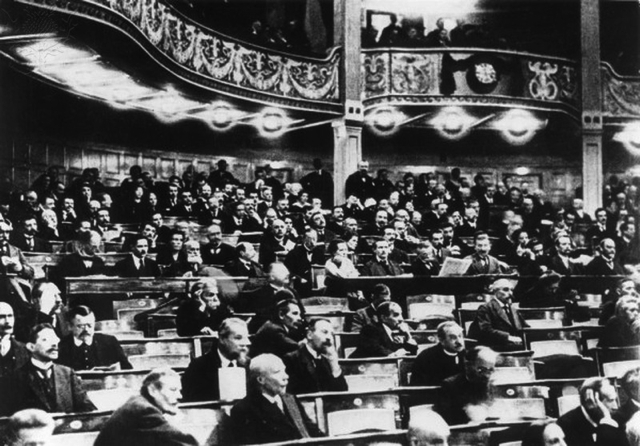 Full text of the Treaty of Versailles, organized into sections of articles dealing with specific subjects (the Covenant of the League of Nations; political clauses for Europe; German rights and interests outside Germany; Military, Naval and Air Clauses; prisoners of war and graves; penalties; reparations; and others. This 'Internet history of the Great War' website includes posters, weaponry, maps, songs, artwork, and photographs, and is one of the largest collections of information pertaining to World War I on the web. Digital images of letters, completed surveys, news clippings, photographs, and postcards from 31 women association with Illinois State Normal University who served in some capacity during World War I - as nurses, reconstruction aides or Red Cross workers, even as Navy typists in Washington, D. C. , with about half seeing service in Europe. Presented by Illinois State University and the Office of the Illinois Secretary of State. A collection of personal accounts of American war veterans. The site has personal narratives (audio and video-taped interviews and written memoirs), correspondence (letters, postcards, v-mail, and personal diaries), and visual materials (photographs, drawings, and scrapbooks). Search by conflict (World Wars I and II, Korean War, Vietnam War, Persian Gulf War, and the wars in the Iraq Gulf, Afghanistan, and Iraq. 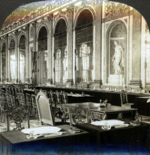 A project of the American Folklife Center at the Library of Congress. This BBC site contains a wide variety of material on World War I, including a timeline, essays, films, audio, and photographs. Intereactive ebooks, not available for download outside of the UK, can be veiwed in non-interactive PDF format. A directory of World War I educational websites, with sections devoted to links to World War I museums, literature and art of the era, war memorials, and sites from Germany, France, and the Netherlands. Presents full or excerpted primary source materials, including diaries, speeches, letters, journals and memoirs, related to major topics of the period, including the roots of the war; causes of U.S. involvement; the Espionage Act and Sedition Act; weapons of mass destruction; and more. Examines various aspects of World War I both in Europe and on the home front through a collection of contemporary documents, including memoirs, newspaper articles and editorials, poems, letters, and photographs. Documents related to the dropping of the atomic bomb and the end of World War II, organized by topic: Background on the Atomic Project; Defining Targets; Debates on Alternatives to First Use and Unconditional Surrender; The Japanese Search for Soviet Mediation; The Trinity Test, the Potsdam Conference, and the Execution Order; The First Nuclear Strikes; Toward Surrender; and Confronting the Problem of Radiation Poisoning. Documents related to the planning, execution, and aftermath of the atomic bombings of Hiroshima and Nagasaki in August, 1945, and an eyewitness account from Father John A. Siemes, professor of modern philosophy at Tokyo's Catholic University; from the Avalon Project at Yale Law School. Provides links to all of the Library of Congress resources related to World War II: American Memory Historical Collections (including 'man-on-the-street' interviews following the attack on Pearl Harbor, maps of the Battle of the Bulge, and photographs of the Japanese-American internment camp at Manzanar and American women works during World War II); Today in History pages on important dates in World War I, and stories from the Veterans History Project. Hundreds of diplomatic and political documents produced by various agencies of the United States, United Kingdom and British Commonwealth governments. Documents in law, history, and diplomacy from the countries involved in World War II, from the Avalon Project at Yale Law School. Original documents, photographs, images, and more regarding all aspects of World War II, from the United States, European countries, and Japan. Site maintained by the Pearl Harbor Working Group. Twenty speeches, diary entries, newspaper accounts and other original source documents related to World War II. Also included are sidebars, glossary, timeline, sources for further study and indexes. Photographs, illustrations, and maps accompany historical essays, diary excerpts, and interviews, providing an insight to Anne Frank and the massive upheaval which tore apart her world. A thirteen-year-old Dutch-Jewish girl records her impressions of the two years she and seven others spent hiding from the Nazis before they were discovered and taken to concentration camps. This new translation of Frank's famous diary includes material about her emerging sexuality and her relationship with her mother that was originally excised by Frank's father, the only family member to survive the Holocaust. Provides an account of everyday life in Hitler's Germany as recorded between 1933 and 1941 in the secret diaries of historian Victor Klemperer, a Dresden Jew and World War I veteran. 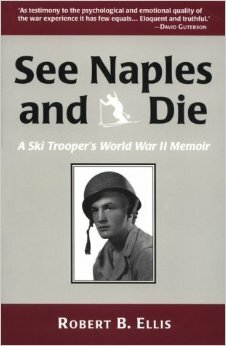 A personal narrative of the experiences Robert Ellis had while serving in the 10th Mountain Division ski troop in Germany during World War II. A subset of texts derived from the three major online Sourcebooks from Fordham University's History Sourcebook project: Internet Ancient History, Internet Medieval History and Internet Modern History. along with added texts and related web resources. On this site historical sources on the history of human societies in the continent of Africa are presented, when available, without making prejudgements about what is "African". Since its inception over a decade ago, the Tombouctou Manuscripts Project has been dedicated to the study and translation of a vast and varied collection of digitized manuscripts in Timbuktu. The project addresses the history of the book in Africa and aims to clarify the material archive in which these texts reside. In recent years, the Tombouctou Manuscripts Project has begun to focus on Arabic writing cultures throughout the Africa, thus situating itself in broader literary, historical, and theoretical discourses. The site features Geographic Information Systems and 3D models of archeological sites in places such as Ghana, Mali, Kenya, Ethiopia, Tanzania, and South Africa. Other interesting features include panorama tours, laser scans, and the possibility for exploration of a virtual world. A project of the University of Cape Town in South Africa. Primary source documents from Asia, all with 'DBQs' (document-based questions). Search by time period (4000 BCE to the 21st century) or region (China, Japan, Korea, Vietnam and Southeast Asia). A project of the Weatherhead East Asian Institute at Columbia University. Documents in law, history, and diplomacy related to Indochina, covering the time period from 1950 to the Gulf of Tonkin Incident in 1964. CHGIS provides scholars and researchers a database of administrative units and populated areas in China from the unification (222 B.C.E.) through the end of the dynastic period (1911 C.E.). With access to this wealth of statistical information, users of CHGIS are able to easily search and track the changes to all recorded geographical entities in Chinese history, and can compare such evolutions to current geographic formations. A subset of texts derived from the three major online Sourcebooks from Fordham University's History Sourcebook project: Internet Ancient History, Internet Medieval History and Internet Modern History. along with added texts and related web resources. A subset of texts derived from the three major online Sourcebooks from Fordham University's History Sourcebook project: Internet Ancient History, Internet Medieval History and Internet Modern History. along with added texts and related web resources. Topics covered include: Indus Valley cultures, the Vedic Age, the formation of religious traditions, Medieval India, Greek and Chinese sources on India, Muslim era India, the Western intrusion, Indian nationalism, India since independence, Pakistan since independence, Bangladesh, Burma, Sri Lanka, and Indian genders and sexualities. The cave library in Dunhuang—an oasis town on the Silk Road in western China—remained sealed and secluded for over a millennium until 1900. The International Dunhuang Project provides access to the wealth of manuscripts, documents, paintings, and artifacts that have been excavated from the cave, complete with cataloguing and contextual information. A collection of historical texts, interactive maps, and other resources exploring cultural interaction across Eurasia from the beginning of the Common Era (A. D.) to the Seventeenth Century. A project of the Simpson Center for the Humanities at the University of Washington. Use the guide below to find content related to Asian Studies on Artstor. Their collections comprise contributions from outstanding international museums, photographers, libraries, scholars, photo archives, and artists and artists’ estates. When using Artstor on the WSA campus, register for a free user account. Your account allows you to access the Digital Library while off-campus. You can download images, create and share image groups, and more. This page highlights Artstor content related to the history and culture of Asia as illustrated by works of art and architecture, from traditional forms to contemporary works, as well as photographs of historical events and figures. Interviewing the turbulent recent events in China with her own personal life story and those of family, friends, and acquaintances, the author creates an evocative portrait of China and its people. Includes first-person accounts of the Tiananmen Square Incident in 1989. See the box below for suggestions on what keywords to use when searching WSA databases for primary sources. A subcollection of WSA's GVRL eBooks for use in history research, with primary sources and History in Dispute articles. Remote access requires Library ID password. Note: Use of the * at the end of a word will search for both singular and plural forms. A collection of more than 150,000 British editorial, socio-political, and pocket cartoons, dating back to 1904. Cartoons can be found under any of the cataloging terms used (e.g. cartoonist, publication, date, name or subject). Resources on the medieval and modern history of the British Isles. Search datasets, guides and calendars, maps, primary sources, and secondary texts, and narrow search by subject, location, or time period. Created by the Institute of Historical Research, at University of London, School of Advanced Study. 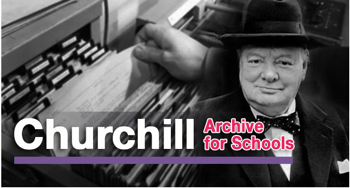 Resources on four broad themes: key developments in modern British and empire history, key developments in modern world history, Anglo-American relations in the twentieth century, and Churchill: discussion, debate and controversy. Within each them, "investigations" (document-based questions) are linked with 6 to 8 documents from the full Churchill Archive, along with background historical information. A collection of primary-source materials documenting the life of William Shakespeare (1564-1616), bringing together all known manuscript and print references to Shakespeare, his works, and additional references to his family, in his lifetime and shortly thereafter including Stationers’ Register entries and printed editions of Shakespeare’s plays and poems (up to and including the 1623 First Folio) and documents that refer to other members of Shakespeare's family. Online sources for European history primary documents, with selected transcriptions, facsimiles and translations. Presents sixty illustrated letters by nineteenth-and early-twentieth-century European artists and writers, with entries in chronological order, dating from 1787 through 1998. The editors provide biographical contexts for both the text of the letter and the accompanying drawings. Diary accounts present the true-life experiences of eleven-year-old Zlata Filipovic as she sees her peaceful life in Sarajevo gradually change as the war in her country advances. Collects 117 documents that provide information about slavery and the slave trade in Brazil, including consular reports, travelers' narratives, regional laws, Jesuit accounts, and more. Latin American revolutionary Che Guevara chronicles his 1952 adventure on motorbike throughout South America with friend Alberto Granado, during which he came face-to-face with the realities of poverty throughout the continent. A bilingual edition of Fidel's courtroom speech in his own defense, October 16, l953. Original title: Historia me absolverá. Use the guide below to find content related to Latin American studies on Artstor. Their collections comprise contributions from outstanding international museums, photographers, libraries, scholars, photo archives, and artists and artists’ estates. When using Artstor on the WSA campus, register for a free user account. Your account allows you to access the Digital Library while off-campus. You can download images, create and share image groups, and more. A subset of texts derived from the three major online Sourcebooks from Fordham University's History Sourcebook project: Internet Ancient History, Internet Medieval History and Internet Modern History. along with added texts and related web resources. Topics covered include: the pre-Islamic Arab world, Muhammad and foundations - to 632 CE, Islamic faith and theology, Islamic expansion and empire, the Caliphate, the Persians, the Turks, the Ottomans, the expansion eastward, interactions with the west, the western intrusion, Islamic nationalism, the Islamic world since 1945, and Islamic history maps. A subset of texts derived from the three major online Sourcebooks from Fordham University's History Sourcebook project: Internet Ancient History, Internet Medieval History and Internet Modern History. along with added texts and related web resources. Topics covered include: the people of Israel, The emergence of Judaism, the Jewish Middle Ages, and Jewish life since the Enlightenment. Middle East historical and peace process source documents,maintained by the Israeli nonprofit MidEast Web. Use the guide below to find content related to Middle Eastern studies on Artstor. Their collections comprise contributions from outstanding international museums, photographers, libraries, scholars, photo archives, and artists and artists’ estates. When using Artstor on the WSA campus, register for a free user account. Your account allows you to access the Digital Library while off-campus. You can download images, create and share image groups, and more. Use the guide below to find content related to anthropology on Artstor. Their collections comprise contributions from outstanding international museums, photographers, libraries, scholars, photo archives, and artists and artists’ estates. When using Artstor on the WSA campus, register for a free user account. Your account allows you to access the Digital Library while off-campus. You can download images, create and share image groups, and more. This page highlights Artstor content related to the global study of human behavior, societies, and cultures as represented by images of traditional and contemporary material culture, such as ceremonial masks and objects, as well as photographs and drawings of cultural groups, rituals, and traditions. More than 300 annotated primary sources focused on children and youth throughout world history, organized by region (Africa, East Asia, Europe, Latin America, Middle East/North Africa, North America, Pacific Basin, South/Southeast Asia); a project of the Center for History and New Media and the University of Missouri-Kansas City. A collection of over 1,000 classic Christian texts, ranging from the early days of the Christian era to the twentieth century. Search by author, title, subject, or language (most texts are in English). Presented by Calvin College. Use the guide below to find content related to religious studies on Artstor. Their collections comprise contributions from outstanding international museums, photographers, libraries, scholars, photo archives, and artists and artists’ estates. When using Artstor on the WSA campus, register for a free user account. Your account allows you to access the Digital Library while off-campus. You can download images, create and share image groups, and more. This page highlights Artstor content related to Western and Eastern religious beliefs and traditions, as represented by images of sacred texts, religious iconography, ceremonial objects, and places of worship, including temples, cathedrals, synagogues, churches, and mosques. An archive of U.S. gay and lesbian magazines from the 1950s and 1960s, featuring annotated bibliographies, digitized materials and more than 1,000 items — including photos, letters to the editor, op-eds, feature stories, news stories and advertisements — from Africa; Asia and the Pacific; Canada; Latin America and the Caribbean; the Middle East; and Russia, the Soviet Union and Eastern Europe. An online hub for digitized historical materials, born-digital materials, and information on archival holdings related to transgender history. The term transgender is used to refer to a broad and inclusive range of non-normative gender practices. The archive brings together a trans-historical and trans-cultural collection of materials related to trans-ing gender. The collection is built by more than 20 different archives and organizations from around the world. Collections of the GLBT Historical Society that are accessible online, including personal papers, photographs, audiovisual recordings, and organizational records. These collections include unpublished material such as letters, diaries and scrapbooks documenting the lives of both average people and community leaders. Use the guide below to find content related to maps and geography on Artstor. Their collections comprise contributions from outstanding international museums, photographers, libraries, scholars, photo archives, and artists and artists’ estates. When using Artstor on the WSA campus, register for a free user account. Your account allows you to access the Digital Library while off-campus. You can download images, create and share image groups, and more. This page highlights Artstor content related to the study of maps and geography, which includes depictions of the physical terrain of geographic regions from a variety of historical periods. A collection of all known legal materials on slavery in the United States and the English-speaking world - over 1,000 books and pamphlets - along with many primary source materials (speeches, traveler's accounts, letters, sermons, and more.) Click the database name under 'Browse' to use the Slavery Quick Finder Tool to search based on these criteria: (1) Position on slavery (pro, anti-, or no position); (2) Jurisdiction (both US and international locations); (3) Document Type; and (4) Topic. Access, both on campus and off-site, requires user name and password. Texts from Fordham University's Internet Ancient History Sourcebook, Internet Medieval Sourcebook and the Internet Modern History Sourcebook, covering women's history. The sourcebook presents online documents and secondary discussions which reflect the various ways of looking at the history of women within broadly defined historical periods and areas. A selection of materials inThe Women's Library @ LSE, representing the personal, political and economic struggles that have symbolized women's battle for equality over the past 500 years. More than 300 items, from the 16th Century to the present day, are presented in chronological order. Presented by the London School of Economics Library. More than 200 primary sources, organized by region of the world (Africa, the Americas, East Asia, Europe, Mid-East/North Africa, Russia, South Asia, Southeast Asia); a project of the Center for History and New Media at George Mason University. Use the guide below to find content related to Women's studies in Artstor. Their collections comprise contributions from outstanding international museums, photographers, libraries, scholars, photo archives, and artists and artists’ estates. When using Artstor on the WSA campus, register for a free user account. Your account allows you to access the Digital Library while off-campus. You can download images, create and share image groups, and more. 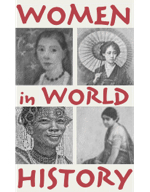 This page highlights Artstor content related to the study of the history and depiction of women across world cultures, including images of women in a variety of domestic and professional roles, women’s rights movements, and representations of famous female figures from history, art, and literature.